How well do you know the countries in Europe? 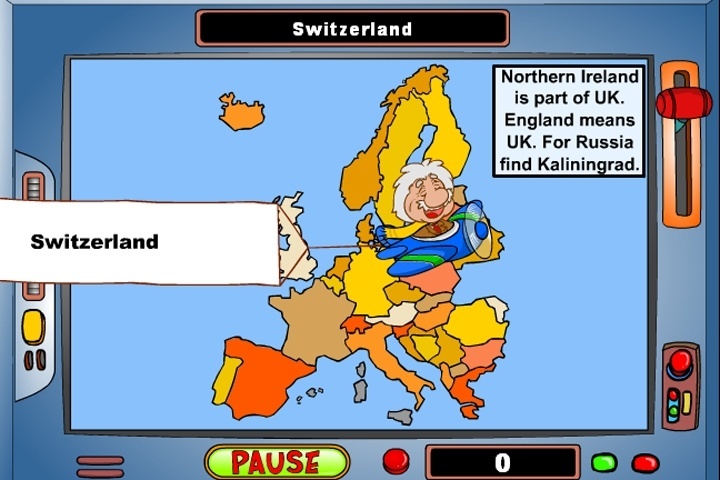 Play this educational Geography game about Europe and find out! The map isn't that geographically accurate. It's good for the general location of countries, but don't use it for directions. If you're lost, check a real map. If you want to play Geography Game Europe games online you have come to the right place! GamesLoon adds new Geography Game Europe games every week. This is your game portal where you can find the biggest collection of free Geography Game Europe games online. Do not forget to rate our Geography Game Europe free online games while playing!